The new 2015 Acura MDX continues its unique balancing act of appeasing to those who want to ‘feel’ what they are driving yet remain versatile to keep the whole family happy. 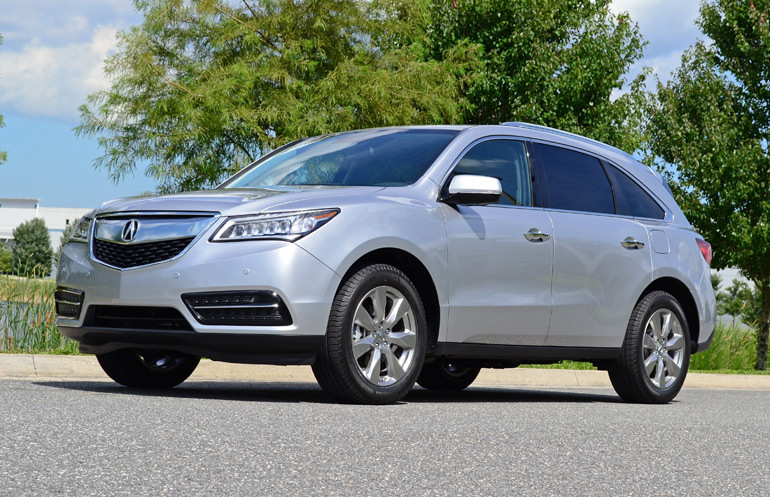 From its complete redesign for the 2014 model year, the Acura MDX exudes an upscale quality and proves to be an excellent all-around luxury sports utility vehicle that drives like a well-balanced car but provides room for 7 passengers. 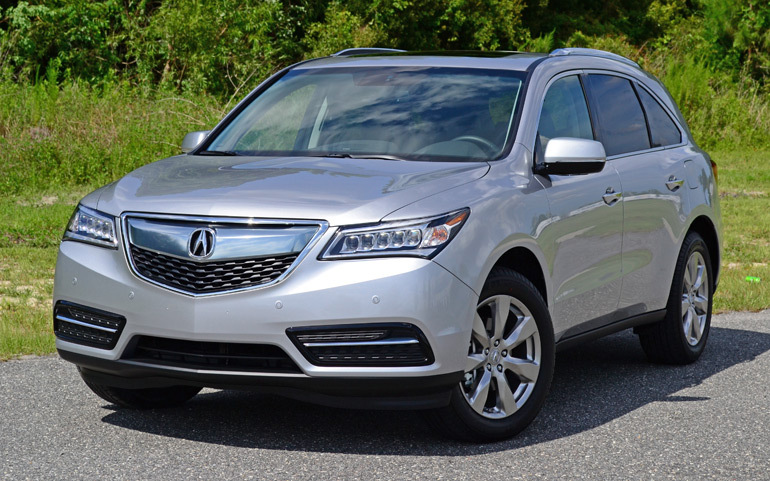 For 2015 the Acura MDX continues its redesigned formula perceived as an even better offering over the outgoing model, whereas the older blueprint still proved to be quite appealing. 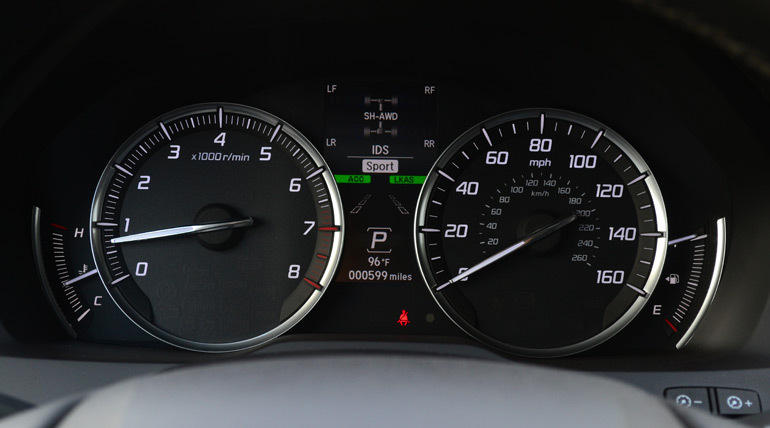 The new Acura MDX gets many improvements over its predecessor, such as a reworked interior for a more luxurious feel, better efficiency getting an EPA estimated 18 mpg city and 27 mpg highway on the SH-AWD variant, several active safety features, and a sleeker look. 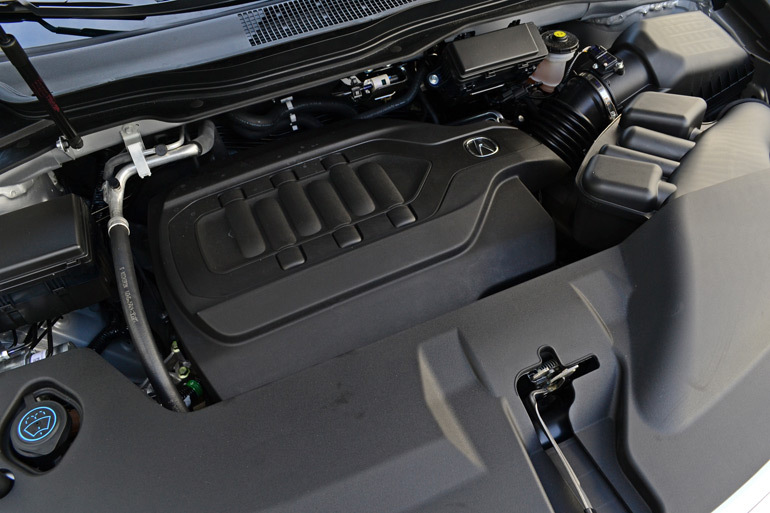 Powering the new 2015 Acura MDX is a 3.5-liter V6 producing 290 horsepower at 6,200 rpm and 267 lb-ft of torque at 4,500 rpm. The improved engine proves its eagerness to send power through the quick-shifting 6-speed automatic transmission w/steering wheel paddle shifters to the front wheels for the standard MDX while my MDX test vehicle is equipped with the SH-AWD system varying power to all 4 wheels. Paying tribute to the many years of Acura and Honda pushing their Super Handling systems – almost like a virtual Limited Slip Differential, the latest version of the all-wheel-drive system in the MDX boasts the ability to transfer power by up to 45% to the rear wheels for better traction or up to a 90% split to the front wheels for added efficiency during straight-line cruising. Moreover, the SH-AWD system continuously distributes power to the opposing wheel during cornering or adds an effective level of torque, by about 70% to the rear wheels. 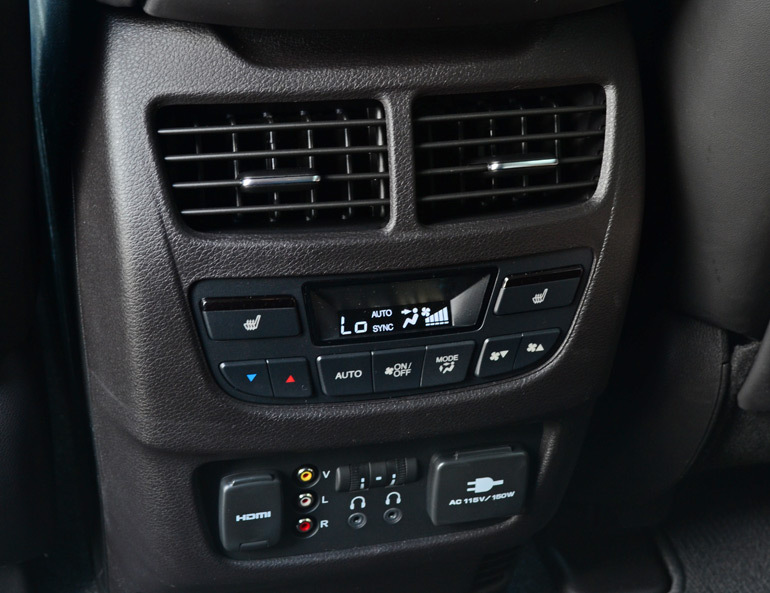 Together, the system is amazingly sorted out to give the driver an unsurpassed level of confidence on the road or in inclimate weather conditions. 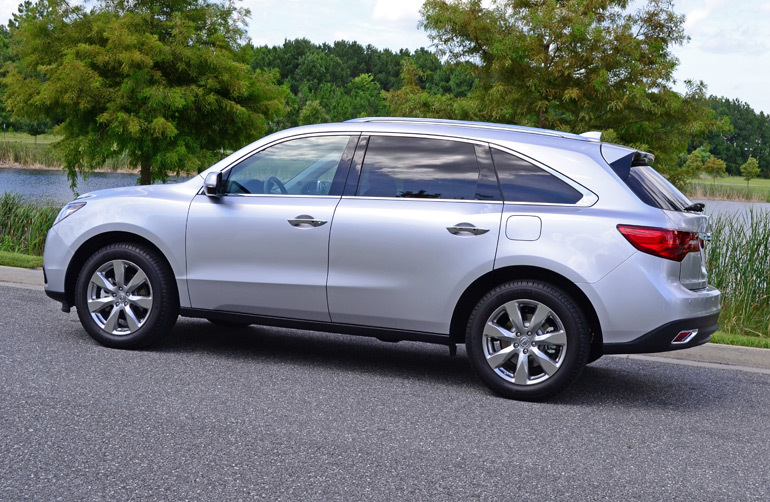 The 2015 Acura MDX SH-AWD is an adaptive vehicle on the road. 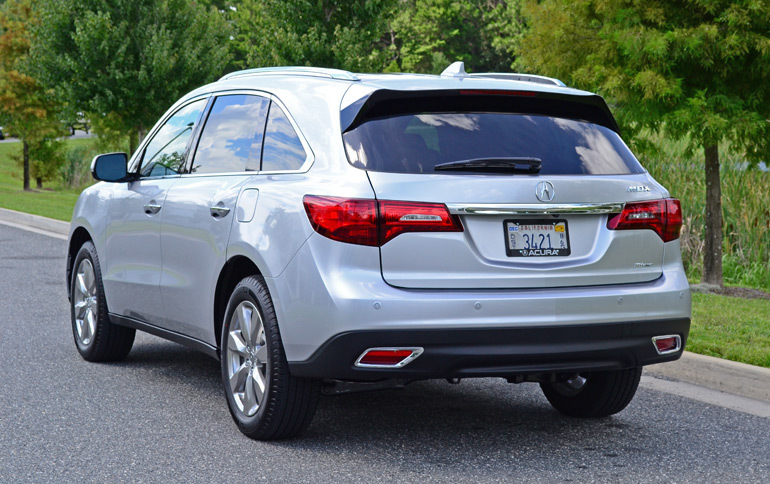 Apart from its delightful all-wheel-drive system, the new MDX incorporates a MacPherson strut setup up front and rear shocks mounted directly to the body side rail for improved rigidity. Doing away with adjustable dampers on the outgoing generation, the new MDX utilizes Amplitude Reactive Dampers with dual internal springs to balance out small to large body movements. 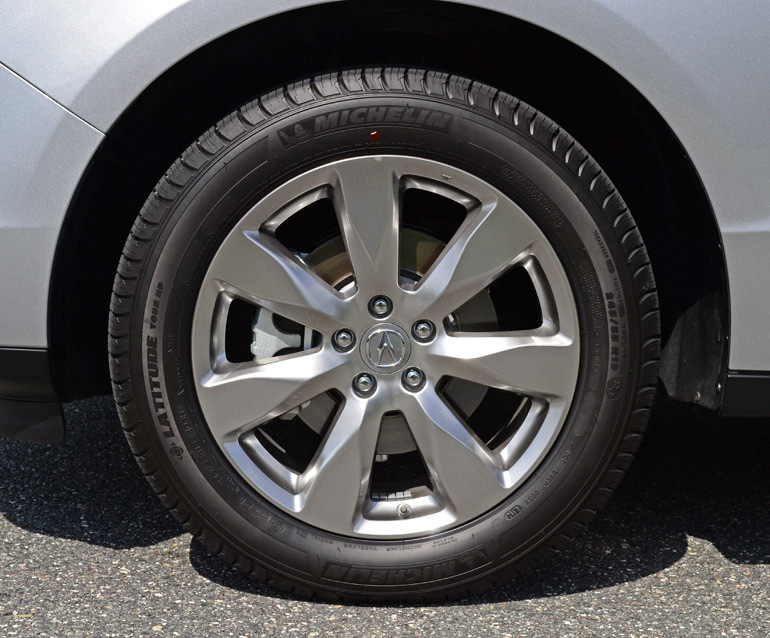 Combined, these improvements add to the stability and sporty propensity of the MDX’s ride yet retains smoothness over rough roads and terrain. During my time behind the wheel the MDX proved to have an excellent ride quality, even with a full load of 7 passengers. Not to mention, the ride was very quiet and subdued with minimal wind noise and only a small amount of engine buzz emitting into the cabin at full throttle. The nicely weighted steering in sport mode, one of the three IDS (Integrated Dynamics System) settings (comfort, normal, sport – changes steering weight, throttle position and transmission shift points), remains to be somewhat numb through the electric assisted steering rack. 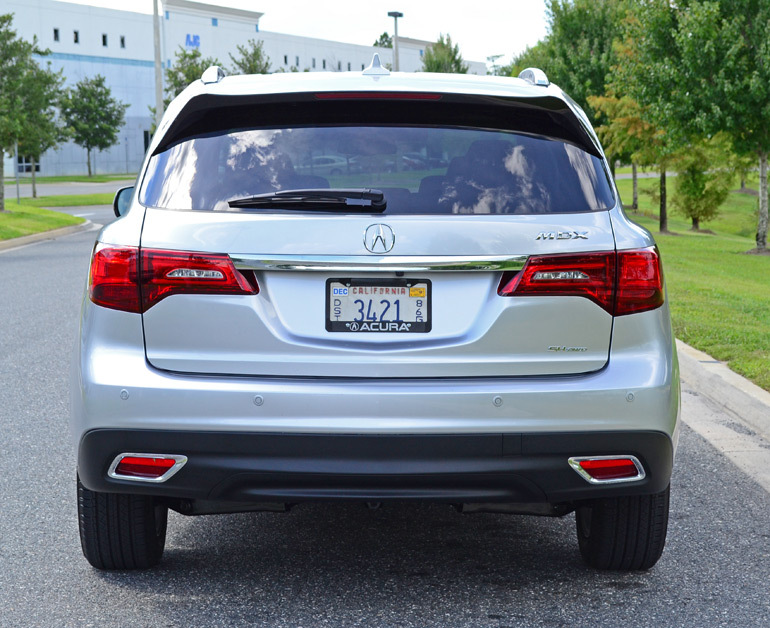 Though, maneuvering the MDX in tight spaces using the sonar sensors or the rearview wide-angle camera is a breeze. Lighting the path ahead is the MDX’s new Jewel-Eye LED headlights, an Acura trait also found in the new TLX and RLX, with a wide beam directing light right where you need it on the road. 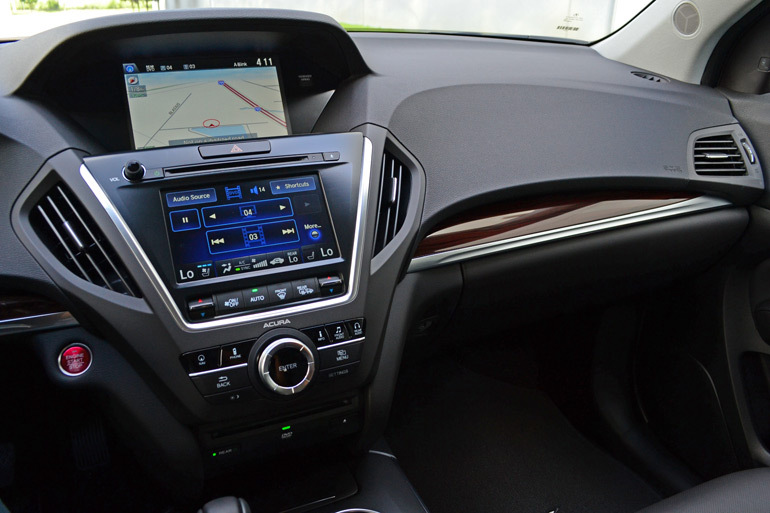 Part of the advanced tech gadgetry found on the 2015 Acura MDX SH-AWD with advance and entertainment packages, is the amazing Adaptive Cruse Control and Lane Keep Assist System. In a nutshell, these systems can basically drive the MDX without any interaction from the driver as a “following cruise control.” Having spent weeks with this new tech in driving the new Acura RLX and now the MDX, it is prudent that drivers still keep their hands on the steering wheel and pay attention as the system will kindly remind you in the event that it sense your hands are not moving the wheel for a time of about 10 seconds or more. Use of the Lane Keep Assist system via the steering wheel button, turns the steering into an interactive wheel when it works to pilot the MDX on highway roads. The system is ingenious as it mildly steers the steering wheel while sensors and cameras read the lines in the road and detects forward objects. You can think of the system as an ‘assisted steering support’ that only follows roads that have slight bends. Do not expect the system to make sharp turns, it will simply beep and ask that you take control, as you should because you are supposed to always pay attention to the road ahead. Another thing I noticed, was the system will want to bounce back and forth from left to right quite often on certain road widths as if the system is ever-so adjusting its following of the painted road lines. In all, the system is amazing technology that will only get better over time. For now, it remains to be a slight novelty and for those who may unfortunately suffer from fatigue and need a little ‘assistance’. My thought is, if you are feeling that bad you should just pull over and let someone else drive or just call it a day at a nearby hotel. 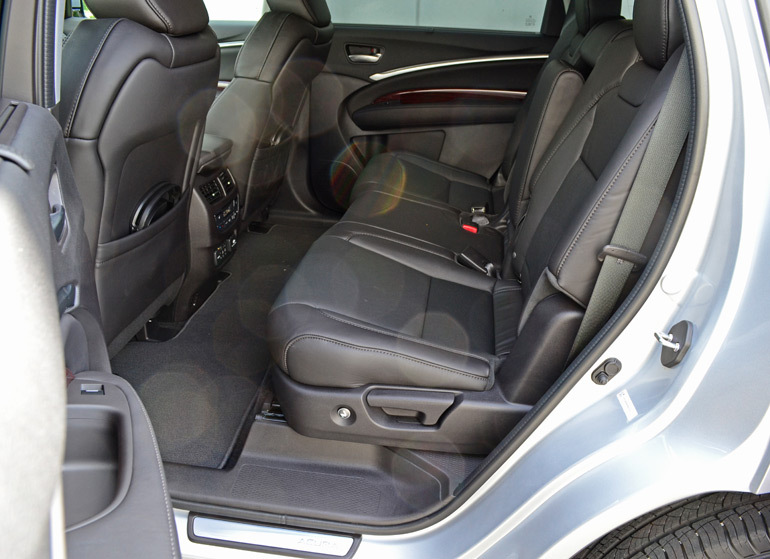 Interior appointments for the 2015 Acura MDX SH-AWD with the advance and entertainment packages really take the part of what is expected in a true luxury crossover utility vehicle with 3 rows of seating. The padded dashboard, then accented by nicely sculpted plastic trim pieces, never really appear to be cheap or out of place. 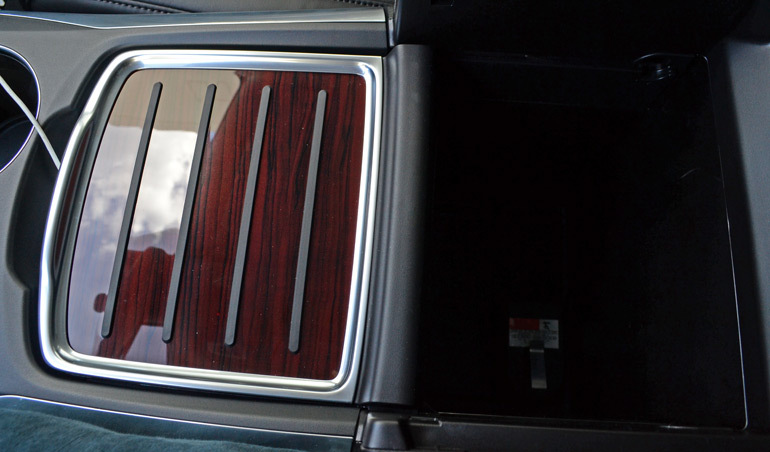 The minimalistic wood trim ads the right amount of softness to the dash, while the controls for the infotainment system, mostly split between a color touchscreen and lower-central dial with main-menu function buttons, all work well to provide a simplistic approach for accessing vehicle settings, navigation operation, phone/Bluetooth connectivity, audio controls and a redundancy of climate controls by way of a short amount of dedicated buttons. The center touch screen with haptic feedback plays well into providing an easy-to-use interface to feed and control display on the larger LCD screen up top. 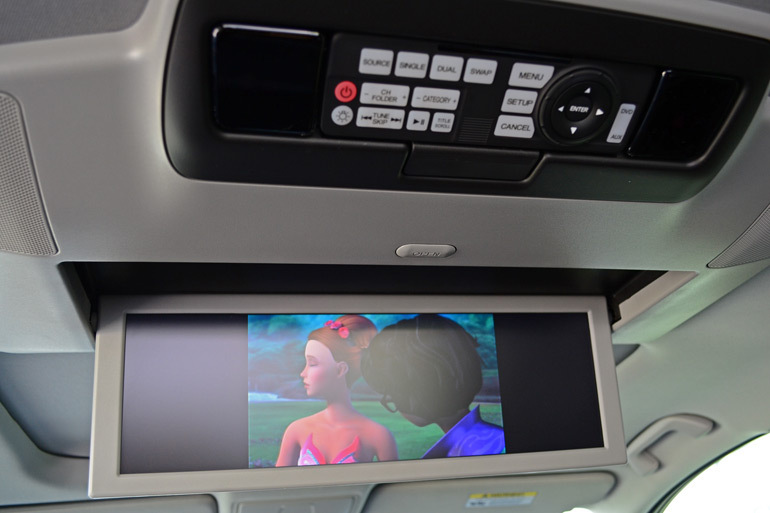 The audio system for my loaded up MDX SH-AWD with advance and entertainment packages is tuned well for music or theater-like quality sound from playing DVD movies via the roof-mounted flip-down widescreen LCD display. There are several options for setup of Audio separation and use of the infrared wireless headphones for rear seat passengers. 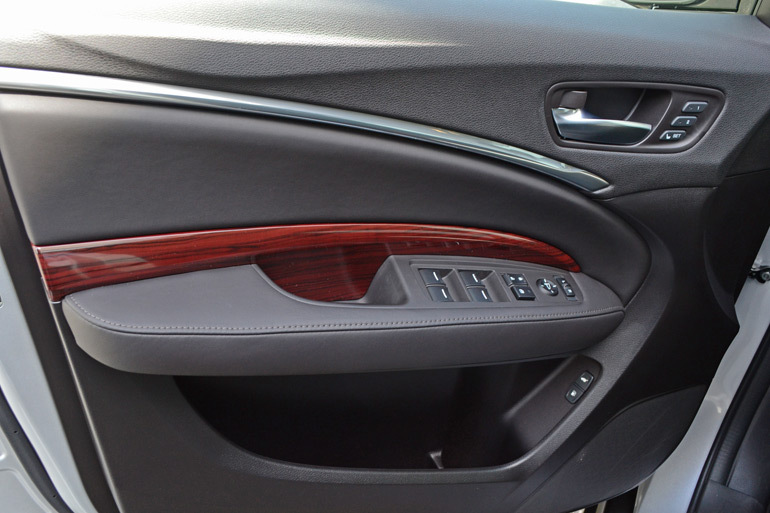 Seating positions up front are exceptionally comfortable and use of the heated or ventilated seats up front and heated 2nd row outboard seats takes it a step further for the luxury appeal of the new MDX with the advance package. 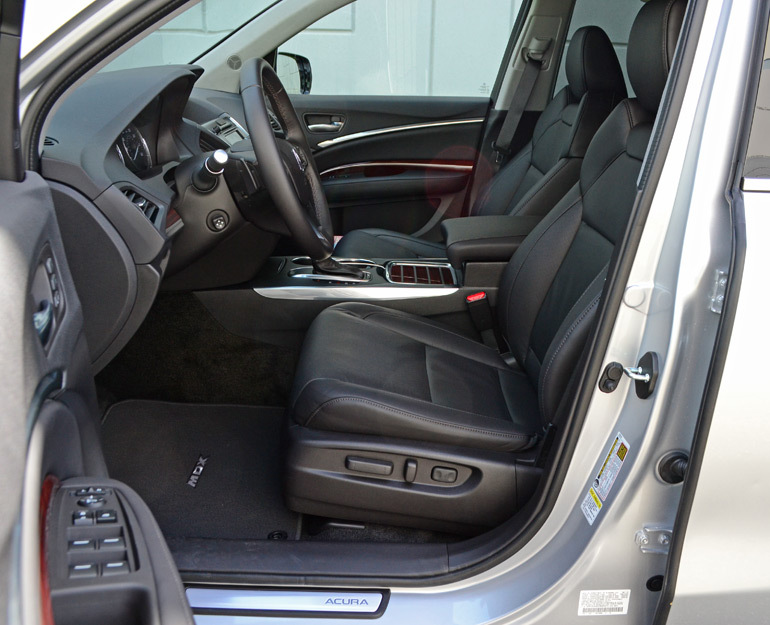 2nd row seats, with plenty of adjustability, including sliding forward and rearward, have easy-access buttons allowing the seats to slide and half-fold forward for simple access to the 3rd row. 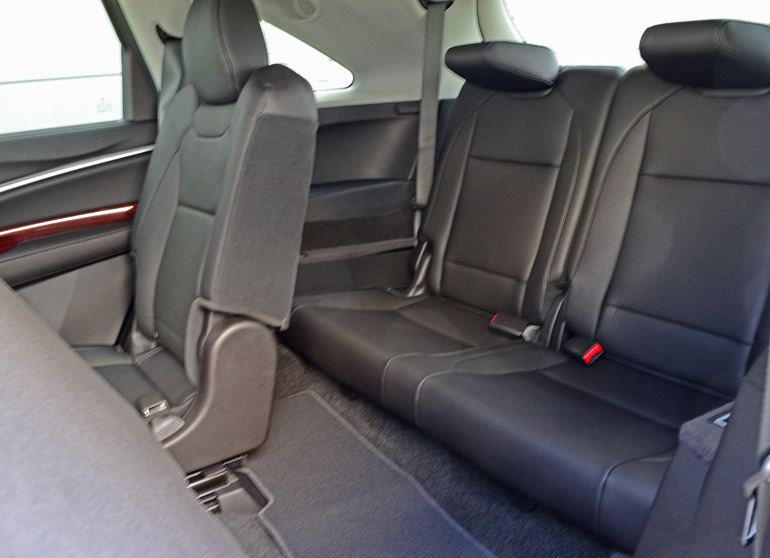 The easily-accessed 3rd row seating is a bit short on legroom for just its two occupants. 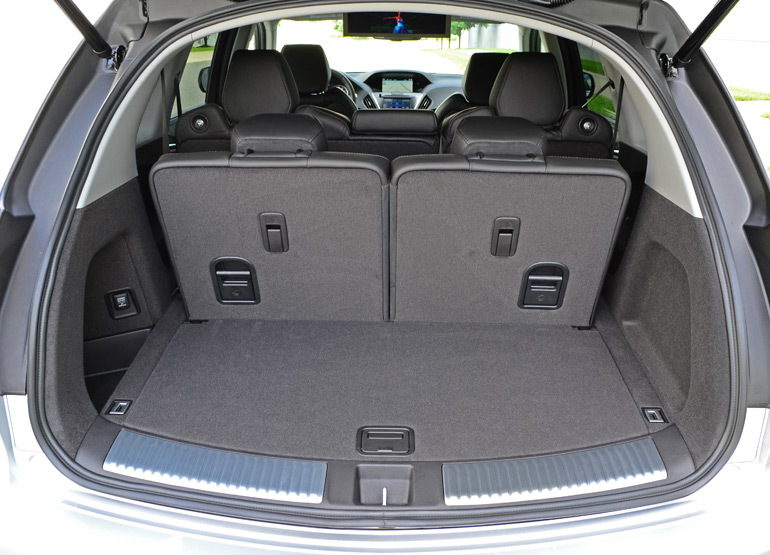 Nevertheless, the 3rd row remains ideal for kids or two small adults to pile in and have just enough room. 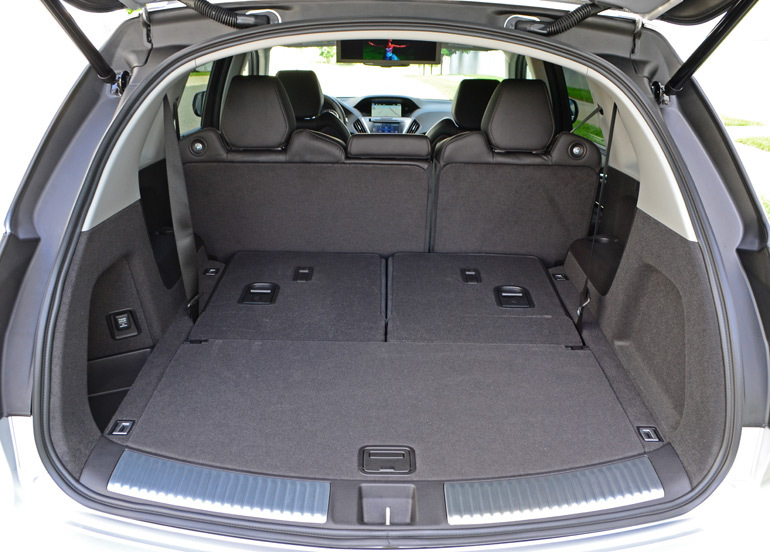 Cargo space behind the 3rd row, when in place, is also a bit short when stacked up against the MDX’s larger 3-row SUV competition. Still, the ease of usability remains well intact especially when you fold the 3rd row down. 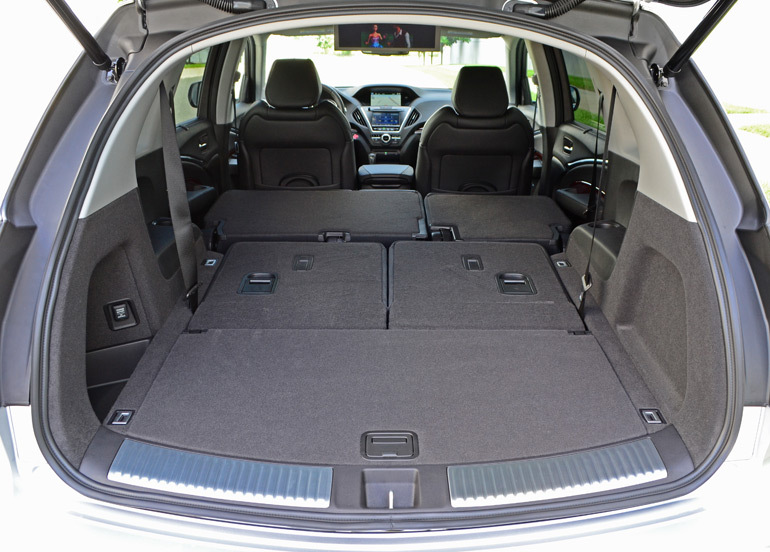 Folding both the 2nd and 3rd row seats opens up the MDX to an astonishing 90.9 cubic feet of space. Living with the 2015 Acura MDX SH-AWD with advance and entertainment packages really appeals to my liking in its enthusiastic road handling traits as well as its excellent versatility all within the confides of a truly luxurious cross-over that has 3 rows of seats. Being that I drive hundreds of vehicles year after year, there are a few rare occasions that a vehicle stands out as much as the Acura MDX. 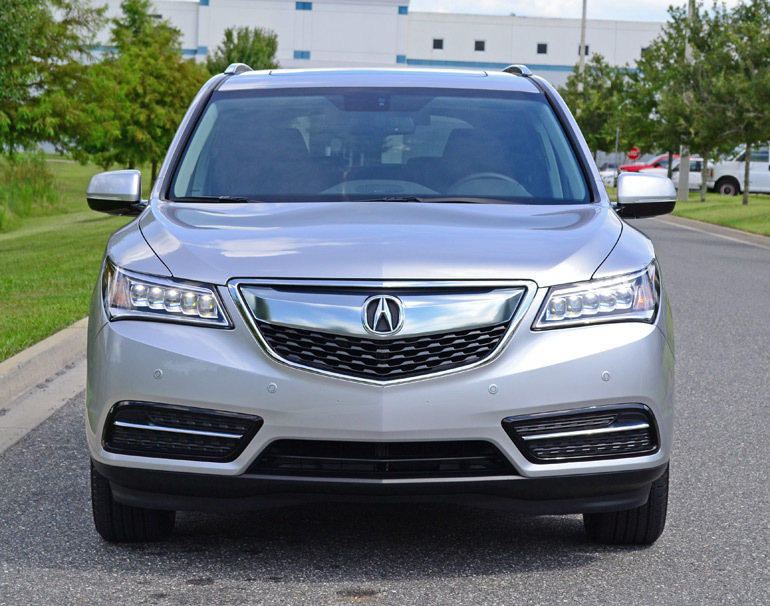 The new 2015 MDX is something that I would not mind spending my money on, it is just that good. This happens to be one of those times where the 2015 Acura MDX SH-AWD with advance and entertainment packages is at the top of my list for a desirable 3-row crossover with style, luxury, character, versatility and a nice dash of sport. 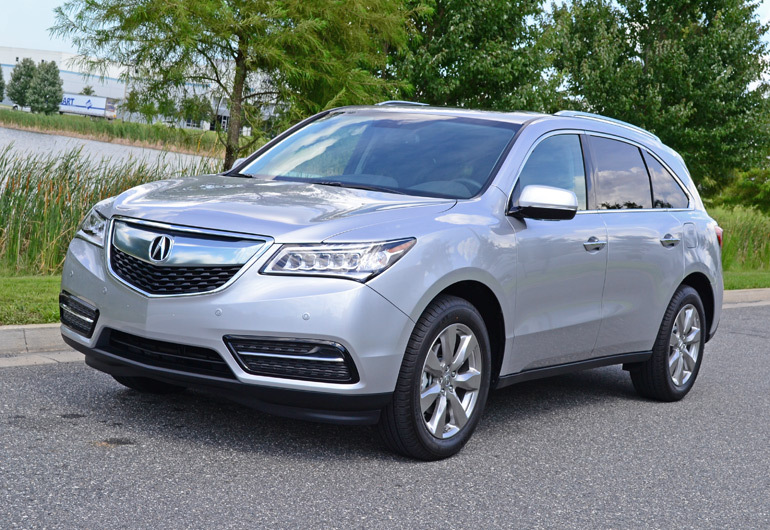 Bring all of these attributes together yields an as-tested price tag of just over $57,000 for the top-trim and fully-optioned 2015 Acura MDX SH-AWD. 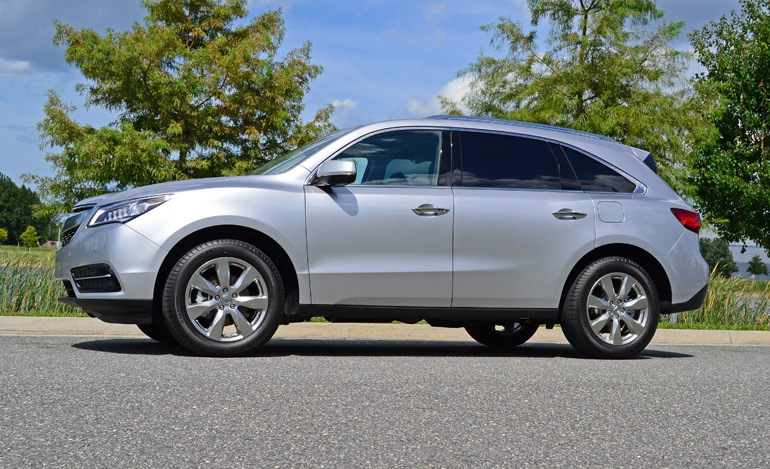 Also to note, the 2015 Acura MDX in its base front-wheel-drive trim starts at just $42,565. Price: Base MDX $42,565 / As-Tested MDX SH-AWD w/ Advance and Entertainment packages $57,000 est. Passenger interior volume: 132.3 cu.ft. 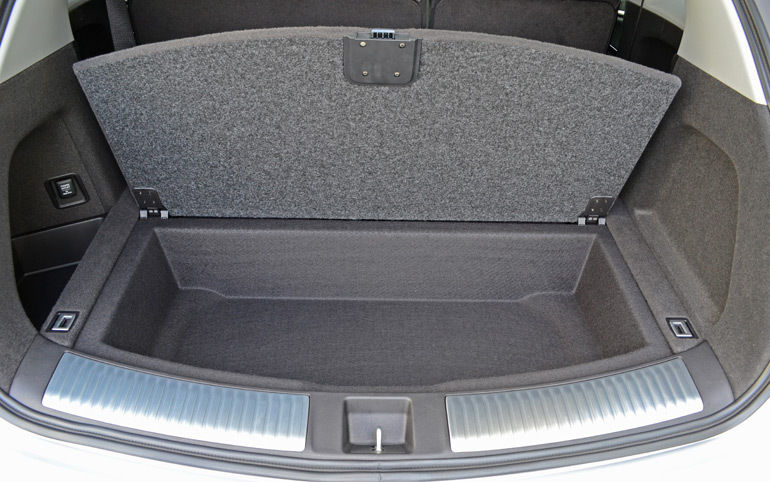 Max cargo area: all seats in place-15.8 cu.ft / 3rd row down-45.1 cu.ft. / 2nd & 3rd row down-90.9 cu.ft.